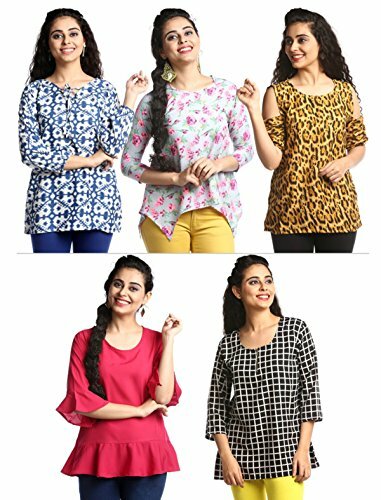 1 Stop Fashion Block Print Top Having Round Neck, 3/4th sleeves. All tops are unique with design and fitting. Wash Care Instruction- Regular Machine Wash And Hand Wash,Do not bleach !! Disclaimer: Every effort has been made to accurately reproduce the look of this product but there may be variation in the color of the actual product received due to varied screen resolution or lighting at time of digital photography.